I’m Jed Crystal and I’m the founder and Creative Director of Hepper. I’m an industrial designer and I focus on designing functional products that solve problems. My designs for Hepper will make your pets happy and will make your home look great. Hepper the company is named for Hepper the cat, a spunky ratter cat who came to live with me from NYC. The story goes that Hepper appeared one day and was put to work as the official rat-cat in a shoe store in SoHo. Soon her sense of curiosity (she’s a cat, after all) led her to explore all of the floors, walls and crawl spaces in the building, and eventually she ended up squeezing out of the ceiling on the fourth floor. She was quickly “rescued” into a tiny flat and spoiled on treats. Proving to need more room to roam, she moved to Vermont with me and was soon nicknamed Hepper (short for Hepburn, as in Audrey, as in elegant, beautiful and oh-so stylish). Hepper confirmed this new moniker by showing off her little grey hat and shawl (OK, patches of fur) against her brilliant white coat. Hepper (the four legged) is now the official tester for all Hepper® products. What is the Hepper company all about? 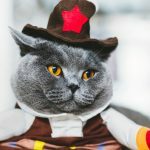 Since 2007, Hepper has made unique pet products that are designed to work for your pets needs while looking great too. 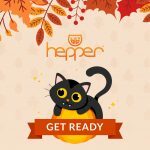 Hepper® is a pet products company that was born from that universal thought: “there’s got to be a better way”. In our case, I had a house full of cats, which meant that I had a house full of really ugly cat toys and furniture. A search for truly innovative, functional, cool beds was fruitless and thus spawned the creation of the original Pod, Podium, Nest, Wave, Pad and Roost – the first line of many home furnishings from Hepper. Why did I start Hepper? Hepper was started out of a selfish need. 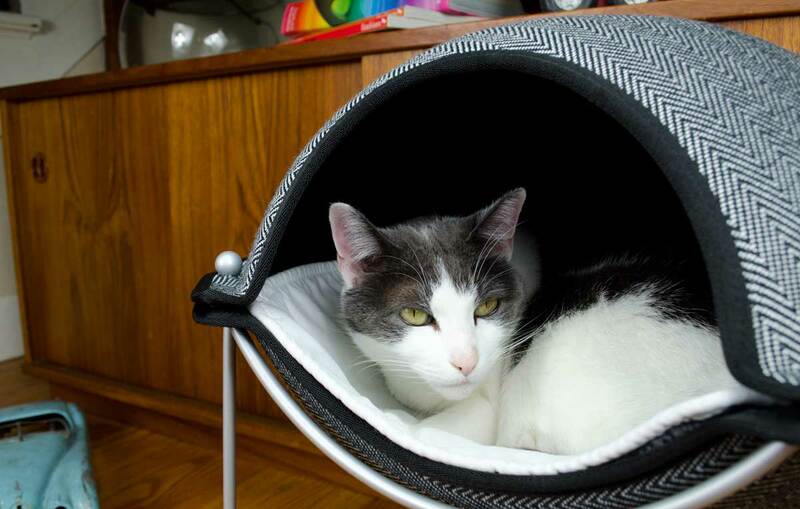 I had a house full of cats that needed beds. 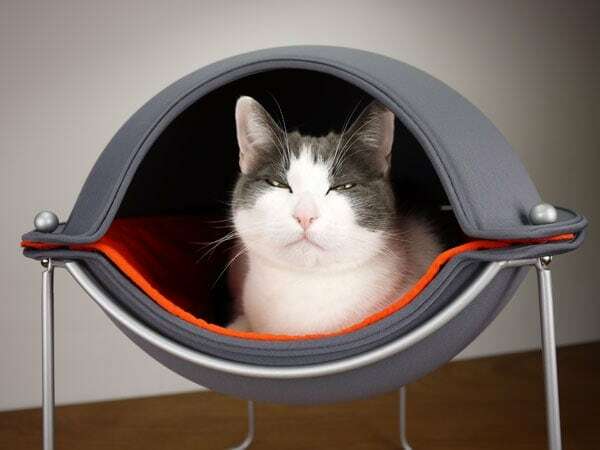 I couldn’t find any decent looking cat beds that would keep our cats comfy and that would look good in our home as well. Paw print patterns aren’t my style and trendy colors weren’t going to work either. I wanted something classic, timeless and that would compliment my home. After much searching, nothing perfect was found, so in true designtrepreneur style, I created the Hepper line. 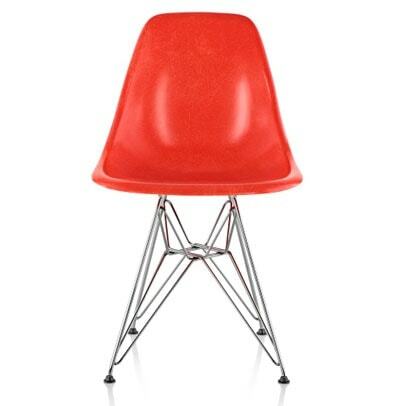 If you are familiar with the Eames’s, know Herman Miller from Herman Munster and like classic designs, then Hepper is for you. 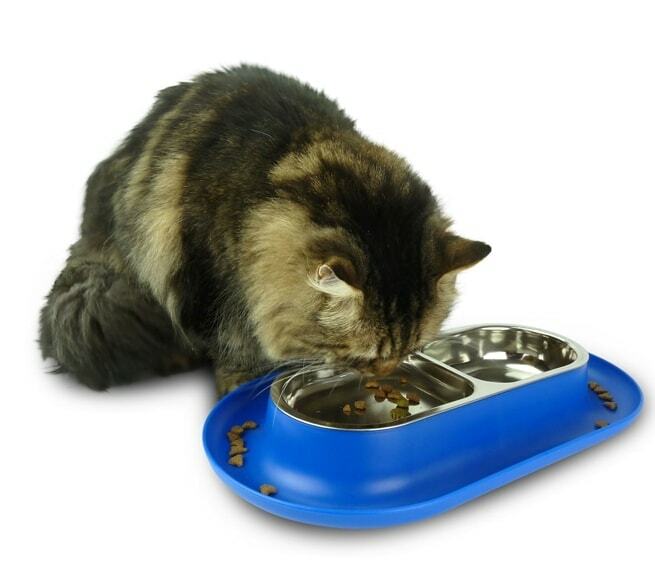 Or, if you have cats or dogs and want something for them that will just make them happy, then Hepper is for you. 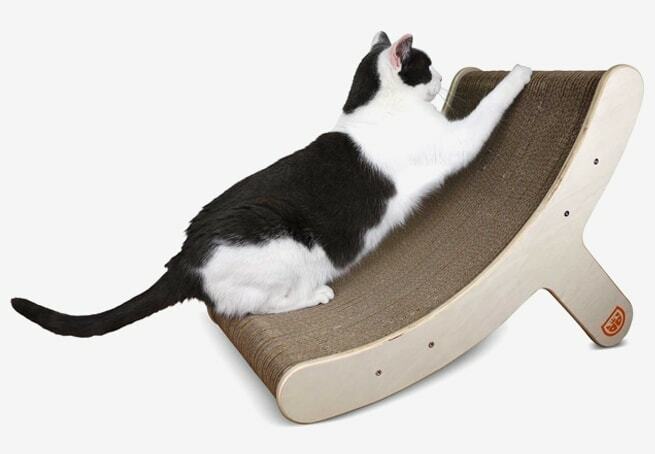 Either way, we are here to provide you with thoughtful, timeless and functional pet products. Our designs for Hepper are unique. 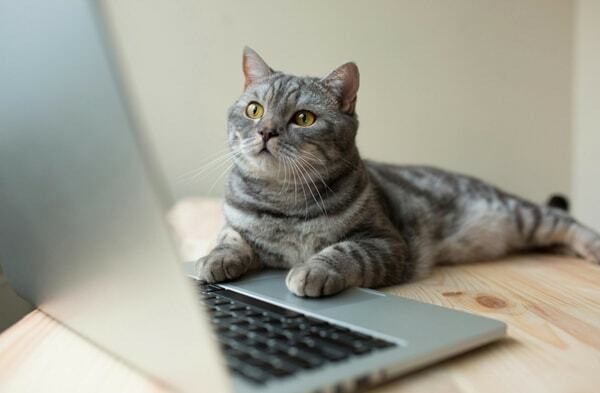 We are in the business of creating something new for pets. We are not driven by the mass market and the whims of big-box retailers. We are driven by our desire to create special products for you – products that function, look great, and that have a point of view. We hope that our pieces add to your decor and that when they are not being slept in, scratched or eaten out of, they are just great to look at. Consider them conversation pieces or mini sculptures that you and your pets can enjoy together. For us, design is important, and we recognize that it’s more of an art than a science. We are always tweaking, revising and evolving our products, making them better, bit by bit. You are part of this process. We listen (and appreciate) all of your feedback, and incorporate it into our future offerings. We always have something new cooking; something that will solve a problem in the world of pets. 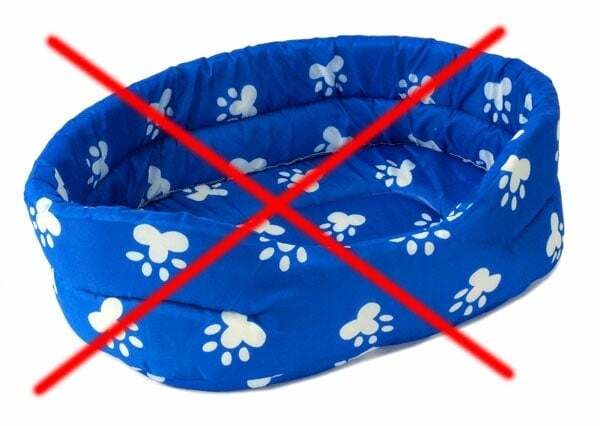 Whether you like our products of not, you probably have landed here because you have a pet in your life. For us, that is the most important thing. 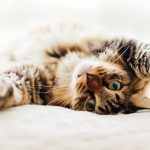 Beyond making modern pet furniture we believe that sharing your home with a cat, dog or other critter is one of the best life choices you can make. We started Hepper just to make that experience a little easier and better looking. If you don’t already have a pet, or have room in your home or heart for another one, please consider adopting from your local shelter. Or, if your house is full, consider joining us in our support of Best Friends or ASPCA. 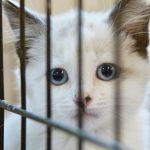 There are many, many furry friends that would love to come home with you today.